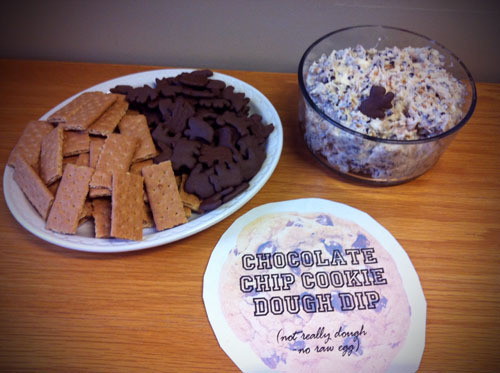 We had a Super Bowl party at work today so I got to try a recipe from Pinterest I've had my eye on. 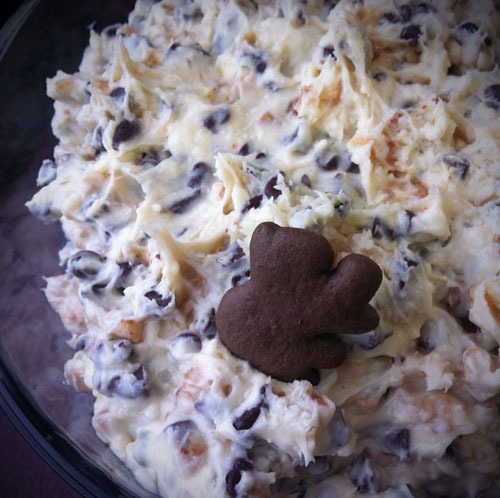 Chocolate chip cookie dough dip! It's not really cookie dough... there is no raw egg. Awww it's so good! The recipe called for chocolate graham crackers for dipping but I couldn't find those. I got a bag of chocoalate animal crackers instead and I think they are perfect! They are sturdy for dipping, and they offer a good dip to cracker ratio.